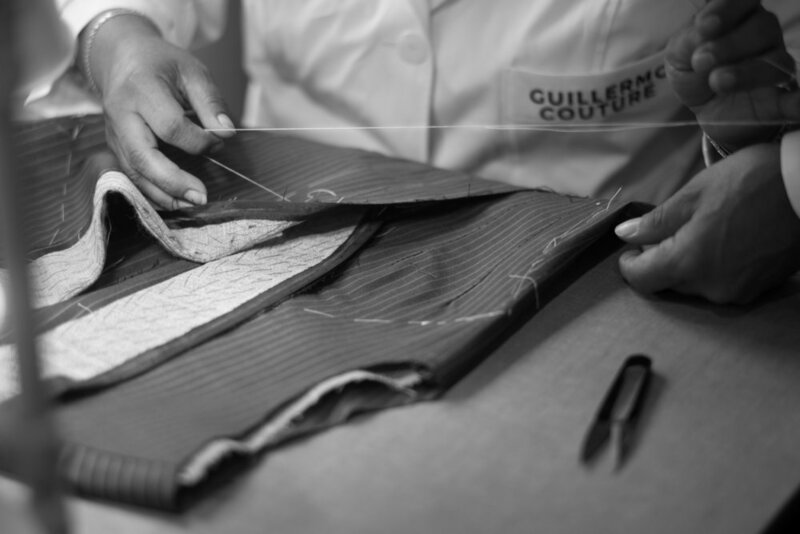 Guillermo Couture is a master alterations tailor of the highest tradition. We can perform the most complex or simple alterations, as well as create complete reproductions of designer clothes, for New York's discerning ladies and gentlemen. For more than 30 years, clients have relied on Guillermo Couture for the best alterations and tailoring the human hand can make. No task is to big or to small for our team. All work is done on our Manhattan premises. Whether you are seeking advice on alterations, or seek to reproduce a garment, commissioning a bespoke men's suit or dress, or a wedding gown; our client managers and cutters have the expertise to meet your every need.